What is Hazardous Waste Sampling? Hazardous waste sampling is a process required by the EPA for any company which creates byproducts that might be dangerous to the environment or people. Companies whose production creates a potentially hazardous byproduct are responsible for determining the short and long-term effects of their waste on both people and the environment. On top of that, federal regulations require "cradle-to-grave" monitoring of any hazardous waste. This means that your business is responsible and liable for that waste until it is properly disposed of. Knowing how to properly sample hazardous waste streams is not only required by the EPA, but if done correctly, can save your business a lot of money in disposal costs. The question many business tend to grapple with is...Can they adequately perform their own sampling process or do they need outside help? Everything starts with identifying whether the waste that a generator produces is hazardous or not. If your business produces any waste which conforms to the above definitions you need to move on to the next step in the process. Do you need to test whether or not your waste is hazardous? Do you need to take extra steps to be RCRA-permitted? How do you ensure that you are using EPA-required methods? The RCRA includes step-by-step instructions for the required test methods under CFR 261, appendices II and III, as well as instructions for the appropriate methods of analysis. More importantly, the EPA requires timely analysis for the samples to be considered valid. How do you handle and ship the samples? Most labs which analyze hazardous wastes will provide containers and instructions on the minimum sample sizes. The EPA provides a field book, the SW-846 Test Methods Manual, detailing the required sample types, sizes, and frequency of testing. As an example, the SW-846 requirement for solid waste is 500 grams, whereas for liquids it can vary from one liter to eight liters, while volatile chemicals need to completely fill any container they are in to minimize the chance of contamination. A number of additional criteria also inform how often you collect samples, where you collect them from, and how many samples are required. For example, if your facility produces streams of hazardous waste which only contain one kind of waste per stream, a single annual test will usually be satisfactory. If, however, your hazardous waste streams are mixed in some way, or you vary your methods of production, multiple and repeated tests may become necessary. Does you business need to work with a hazardous waste company? For some mid-sized companies, and especially smaller companies which produce hazardous waste, the need to work with an independent hazardous waste company is an extremely attractive for a number of reasons. Expertise - More than anything else an independent hazardous waste company brings a wealth of knowledge about testing, sampling, and safely removing hazardous waste from a work site. As illustrated, the guidelines in the Resource Conservation and Recovery Act are extremely comprehensive and complicated. Understanding the guidelines takes time and energy that your employees don't have and your business can't afford. 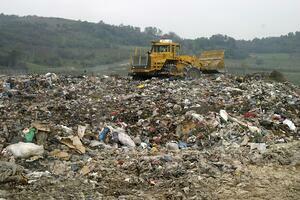 Is your company's waste on the exempt list? How should it be handled? How should it be collected in order to ensure the safety of your employees? Are the collected samples viable under EPA regulations? Hazardous waste companies are specialists in understanding and satisfying all of these requirements for hazardous waste treatment. Staying current with federal and state regulations - Federal and state regulations regularly undergo review and revision. What kept your business RCRA-compliant last year might not keep it compliant this year. Hazardous waste companies keep up with these regulations on your behalf, so that you don't have to expend the personnel and resources yourself. Streamlining - Working with an independent hazardous waste company allows your business to focus on production. Your employees are no longer overburdened with researching and comprehending the RCRA, so they can focus on the company's more pressing needs. Keeping things streamlined for your business means production is smooth and uninterrupted. Reduction of costs - typically a business will find that it is saving on its bottom line when they contract a hazardous waste company. This is because you don't need to waste valuable production site space on storing hazardous waste, spend man hours scheduling testing, or expend company resources on providing specialized training to your employees. Hazardous waste companies handle all of that for your business which allows your business to cut down on costs. Knowing how to properly sample your hazardous waste is very important. If you are unsure about how to perform a correct sampling, or have no idea where to send the sample, contact your local hazardous waste transportation company for help.